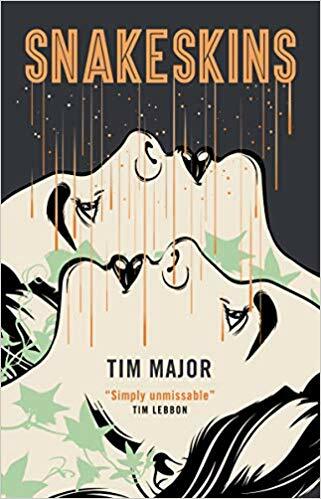 An exciting new speculative fiction thriller from an emerging voice in the genre, Snakeskins is a timely and poignant novel set in an isolated UK that has cut itself off from the wider world following a freak astrological event known as The Fall, which imbued a fraction of the population with a unique new gift that has implications for everyone. Offering an allegorical look at the inheritance of power through the exploration of the repercussions of rejuvenation and cloning on individuals’ sense of identity and on wider society. Tim Major has authored You Don’t Belong Here, Blighters and Carus & Mitch, the YA novel Machineries of Mercy, the short story collection And the House Lights Dim, and a non-fiction book about the silent crime film, Les Vampires. His shorts have appeared in Interzone, Not One of Us and numerous anthologies including Best of British SF 2017. He is co-editor of the British Fantasy Society’s journal, BFS Horizons.